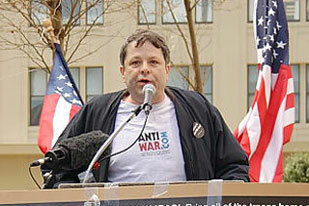 When I began Antiwar.com in December 1995, a Democrat named Bill Clinton was in the White House. His foreign policy was bellicose yet largely supported by the Washington establishment. As the president bombed Iraq, Serbia, Bosnia, Kosovo, and Sudan, it was out of fashion to be antiwar, and opposing the U.S. Empire was left to a few "extremists" on both ends of the spectrum. Since then, my "hobby" has blossomed into the most important and widely read pro-peace site online. Every day, our small but dedicated staff searches far and wide to find and publicize news and analysis that the mainstream media excludes. Antiwar.com's popularity boomed in response to George W. Bush's post-9/11 global war on terror, especially his invasions of Afghanistan and Iraq. But remember: it was U.S. foreign policy in the Middle East in the 1990s and before that led to the blowback of 9/11, the wars in Iraq and Afghanistan and the accompanying assault on our liberties. Barack Obama promised to end the worst excesses of the Bush administration. Instead, he and members of his administration led the U.S. into violent intrigues in Pakistan, Yemen, and Ukraine in addition to instigating chaos in Libya, Syria, and Egypt. Meanwhile, Guantánamo remains open, sanctions on Iran remain, and the militarization of domestic law enforcement exacerbates police brutality. To think that people once saw Barack Obama as the "antiwar candidate." The costs of war – in lives, dollars, and our liberties – are the same regardless of the party in power. The world needs a consistent and honest source in foreign policy reporting. That’s Antiwar.com. We are needed more than ever – and we need you to keep us afloat. We don't have a huge staff with cushy jobs, living it up on your donations. We appreciate every penny (and bitcoin.) We work around the clock. As webmaster and general manager, I work seven days a week, from six in the morning till ten at night – and those are the quiet days. We don't take your support for granted. Please don't take us for granted, either. While the harshest critics of U.S. foreign policy have been proven right, their voices are muted by the "mainstream" media. Don’t let our voice be stilled. Please help us continue to expose the Empire’s lies. Just Say No The AUMF – Call Congress Now! Must Europe Be An American Colony?